As follows is the list of our 2 shady lawn seed mixes for shaded or woodland areas. 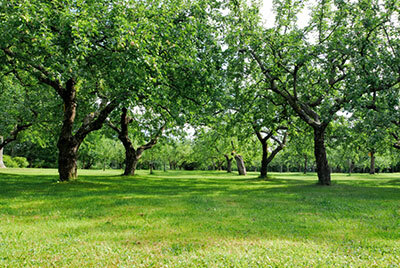 AM15 is for shaded woodland areas. AM16 is ideal for partial shade and clearings. For AM15 we can supply 800 grams upwards .For AM16 the minimum amount we can supply is 10 kilos. For orders over 60 kilos contact us for a special price. Grass seed for partial shade. Suitable for open woodland areas. Suitable for Drives, bridleways, picnic sites etc. These are shady Lawn seed mixes best suited for areas of shade. The seed is all independently tested for germination and purity. We have a license to sell seed with FERA. Our Am15 seed mix is one of the top selling lawn seed mixes on amazon. We supply it to 1,000's of customers each year and it has a very good independent rating.